The Legacy Gold Duratec riding helmet offers a deep fit, slim profile and Duratec matte finish. Great look and protection for the english rider. Features: GPS IIITM Micro Adjustable System, Flip-FoldTM Fit System and PittardsTM WR100X leather. 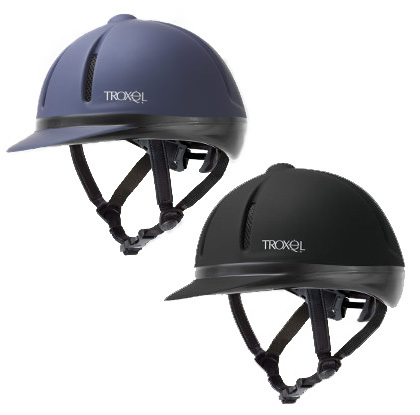 GPS III™: The patented GPS III introduces the most advanced stabitization and fit adjustment system for riding helmets. The system wraps around the interior of the helmet providing a sure, comfortable grip while the sculpted tention mechanism adjusts with a light touch. Pittards® WR100X Leather: WR100X sports leather resists moisture from both rain and perspiration and will dry soft without loss to its supple feel. Advanced water repellent treatment is permanently bonded to each fiber while not clogging the microscopic space in between so water vapor can pass through the leather. Flip FoldTM. The Flip-Fold Fit System provides an adjustable inner liner that can be made thinner or thicker to accommodate various head shapes and hairstyles. Adjustment is made by simply folding over the integrated tabs.